It's quick and very easy. This style takes under 10 minutes once you get the hang of it. It may take more time or be more challenging depending on how familiar you are with the style, the length of your hair, the number of locs or braids you have, and the thickness of your hair. It's versatile. This style can be worn for more modest occasions and events, and is also perfect for a casual look or glam dressing up, all you have to do is accessorize appropriately. 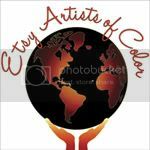 And to top it all off, each time you create this style it will look different! I promise that's a good thing - watch the video to see what I mean. It's a great protective style. 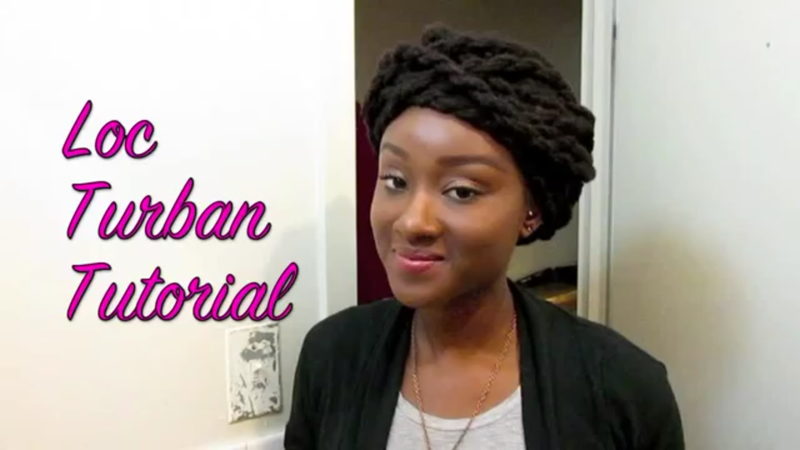 In my opinion, the loc turban is the perfect protective style for your protective style. 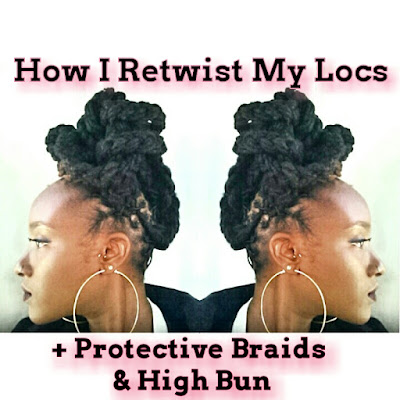 As I mention in the video below, you can do this style on braided or two-strand twisted locs, or loose locs that haven't been twisted or braided at all. You don't need locs to achieve this style. This turban style can work well on other protective styles such as braids and twists with extensions. You may have to use pins depending on the smoothness of the hair used in your extensions. This is perfect for HOT weather. Once locs get past a certain length, summer months can become a bit of a challenge as we try to keep our hair off our necks and shoulders without repeating the same style over and over. I usually go for a messy top knot, or tying my hair high up in a turban. This is ok except the style repetition can lead to boredom, and also puts your hair(line) at risk by placing stress in the same areas. This style is a great alternative. BONUS for "lazy" loc rockers, folks with busy schedules, and frequent vacationers: First of all, by now you'll know that when I say "lazy" loc rocker, I'm including myself. As you'll hear me mention in the video, I washed & conditioned my hair *in* my twists the night before. This means that I did not have to take down and retwist my locs. Now my roots may have been fuzzier than some folks may find acceptable, but the loc turban conceals this well. If you swim a lot on vacation this could be a great style for you to rock while you enjoy yourself, and still get in a good (wash &) condish in between all your vacay adventures. Have you tried this style before? Would you try this style in the future? I'm curious! Share your thoughts with me in the comments below.